The centre DRAWinternational offers programmes for individuals or groups. Studio facilities, tuition, critique, lectures, conference opportunities, exhibition space, and cultural visits can be incorporated into programmes as requested. 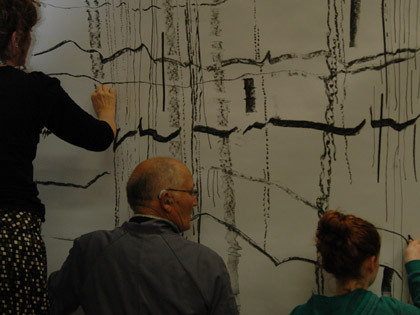 John and Grete host courses for professional artists, teachers and MA students designed to accommodate each particular group/individual to extend personal and curricular understanding.